Nicolas Petrovic speaks to the media onboard the Eurostar's inaugural service to Amsterdam. Nicolas Petrovic, CEO of Eurostar, was in a buoyant mood on February 20. 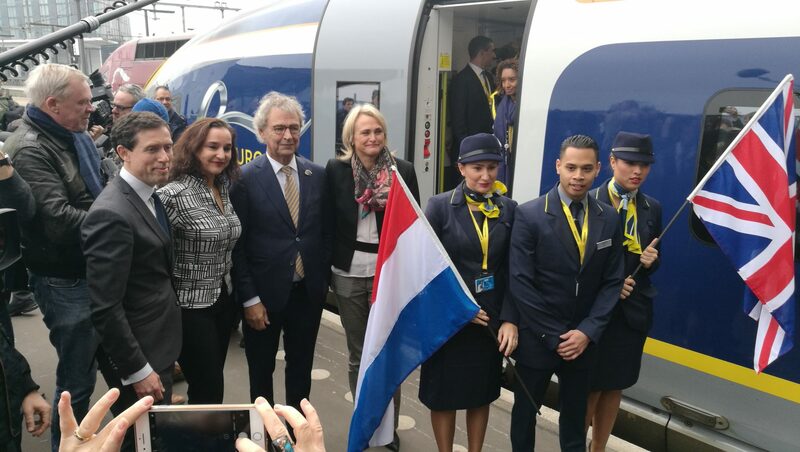 After years of planning, the high-speed operator ran its inaugural service from London to Amsterdam ahead of the commercial launch on April 4. 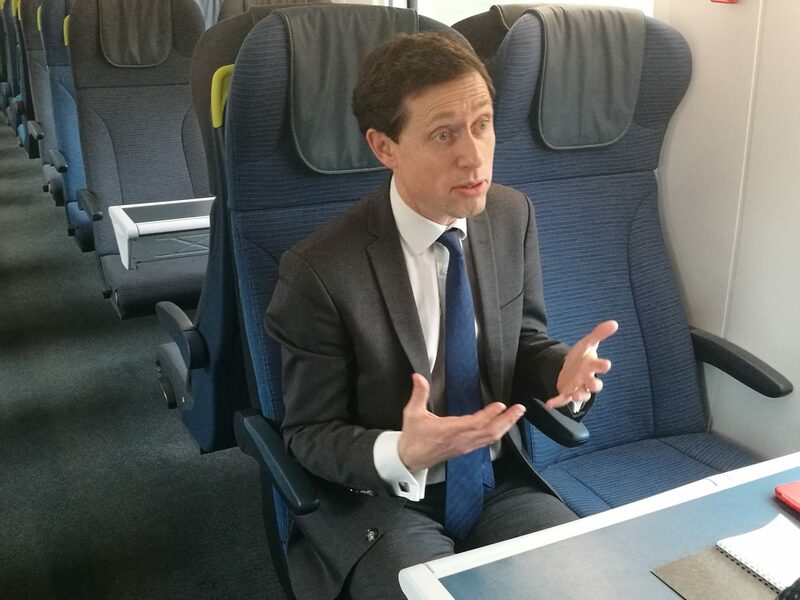 Nicolas said that, alongside Eurostar’s move to London St Pancras in 2007 and becoming a private business in 2010, working towards the inauguration of the new route was one of his proudest achievements at the company. “That is it, the jigsaw is complete,” he said. Nicolas will step down from his role before the full launch and move to Siemens France to become its president on March 1. Joining Eurostar from SNCF in 2003 as director of customer service, he became chief operating officer in 2006 and CEO in 2010, replacing Richard Brown. Siemens announced his appointment in October, 2017, and Eurostar revealed his replacement, ex-EasyJet chief commercial officer Mike Cooper, earlier this year. Over the last eight years under the leadership of Nicolas Petrovic, Eurostar has introduced a new fleet of trains, extended its reach to new destinations and made a significant investment in its service. Nicolas spoke of his frustration at the complexity of establishing new routes, noting that it is more time and energy consuming than for airlines, but said that Mike – who joins Eurostar on March 12 – takes over the business in a strong position with exciting times ahead. Nicolas Petrovic poses for photos in St Pancras station. 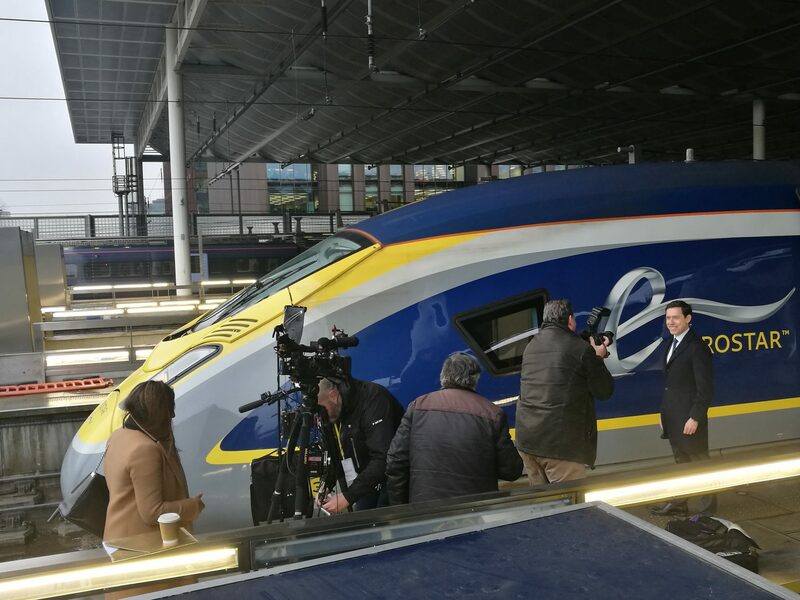 After posing for the media in front of the inaugural Eurostar train, Nicolas spoke with both British and Dutch media about the impact the service will have on the train company and the two countries. Afterwards, he spoke candidly about his time at Eurostar as he approaches his final days. “It has changed a lot,” he said. “Back in 2003 times were tough at Eurostar. We had just been through a civil crisis, the traffic was going down, the morale was low and there was a new team put in place under Richard Brown. 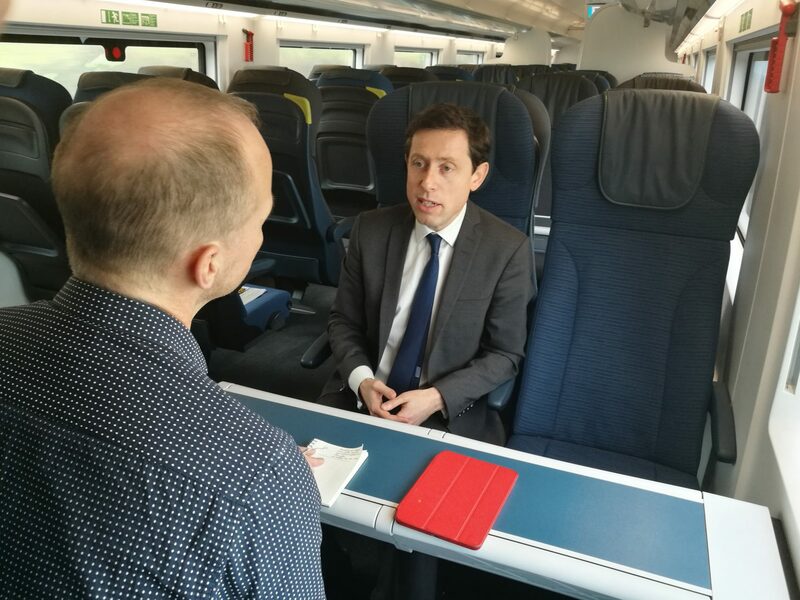 “The shareholders of SNCF and LCR (London Continental Railways) said they needed to reset the system and that is what they did. I think since then we have been going from strength to strength. Eurostar was greeted by a crowd of hundreds of people at Amsterdam Centraal station. “We are a profitable business, the customer experience, the fleet, the stations, the digital experience and the business have completely changed. “What I will remember, and what I am proud of, is that we’ve been through rough times – there have been the financial crisis, the Euro crisis, terrorism, it has been very, very turbulent – but despite that we have managed to grow and we have adjusted out customer base and I think we’ve kept what makes Eurostar unique, which is this pride in the brand and the fact that we are a European one. Asked what needs to be done ahead of the commercial launch of the new service, Nicolas said that, aside from a few things, everything is in place. And what about plans for his final days?